1:30 AM – Get out of bed. Brush Teeth. Get dressed. 2:00 AM – Out the door and on my way to work. 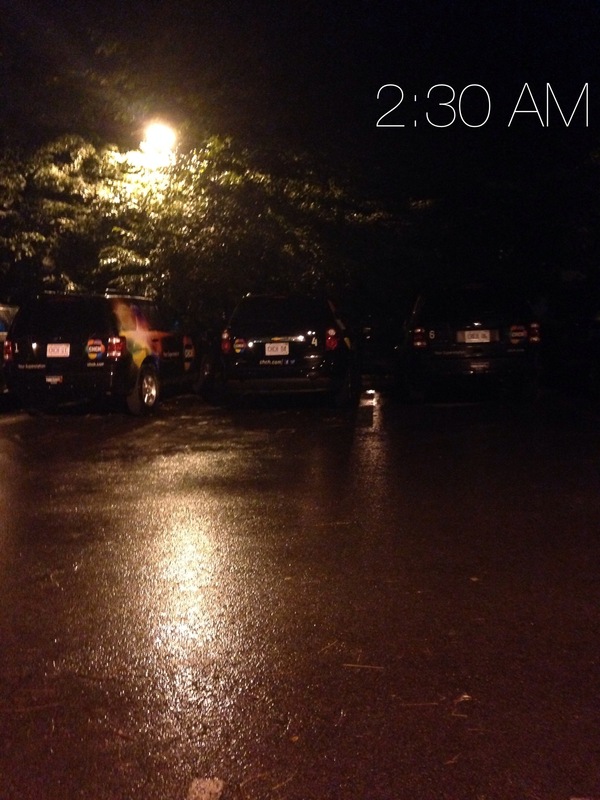 2:30 AM – Arrive at work. Head to weather office and log into the work computer. 2:35 AM – Read through important work emails. 2:45 AM – Prep Weather data, research traffic updates. 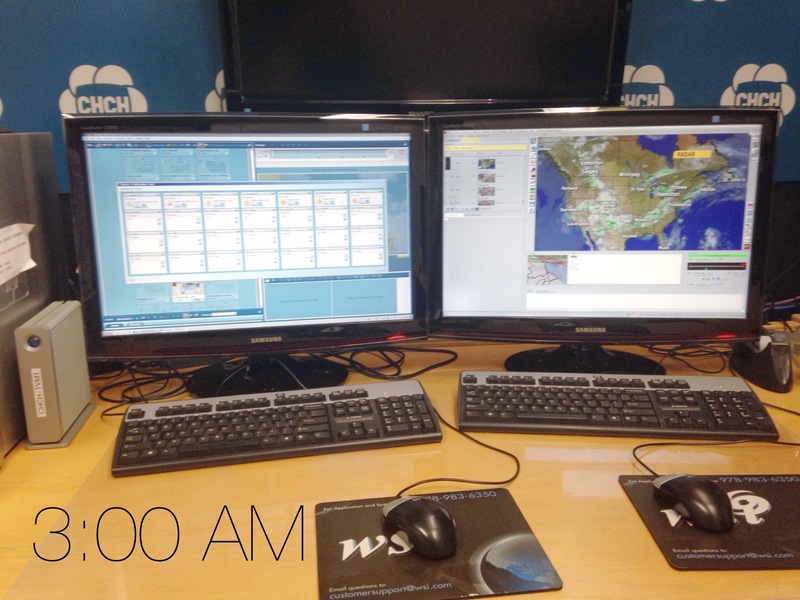 3:00 AM – Build Weather Boards and Position Radar for Morning Weather hits. 3:30 AM – Input traffic information into ENPS. 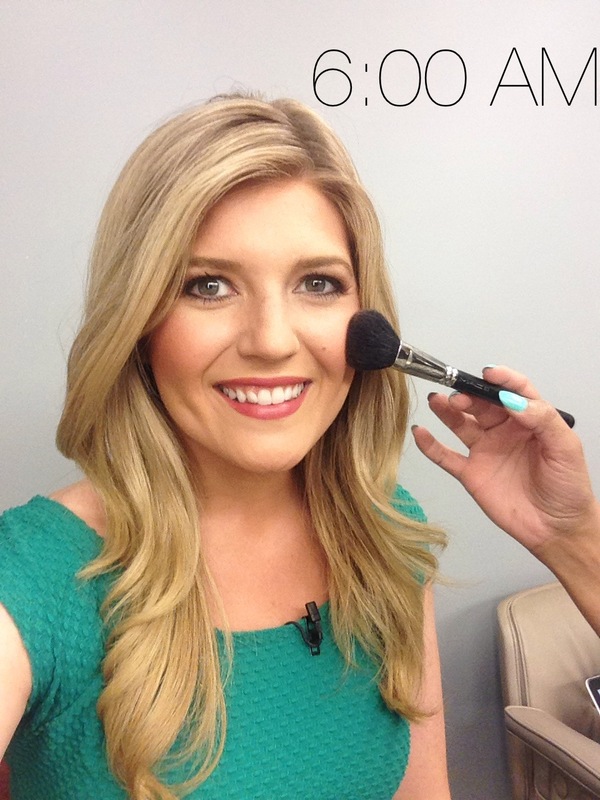 3:40 AM – Makeup time! 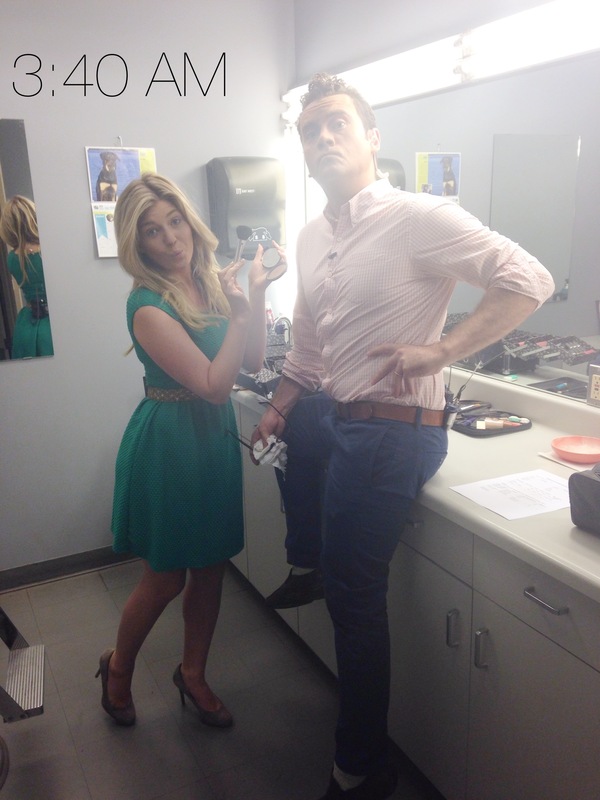 Tim and I get our faces ready for the show. 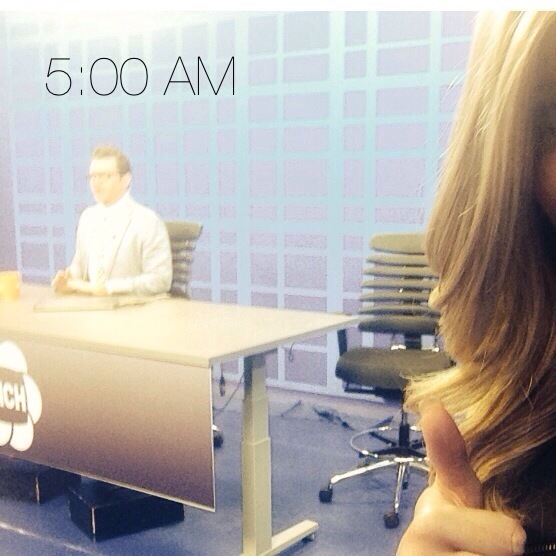 5:00 AM – Halfway through our show. 6:00 AM – Morning Live starts. Time for a quick touch up. 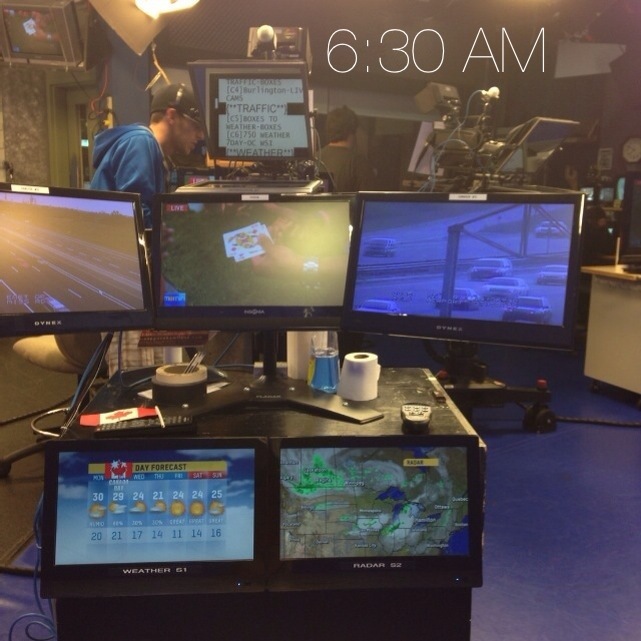 6:30 AM – I’m usually looking at these monitors before a traffic report. 9:00 AM – Done for the day. 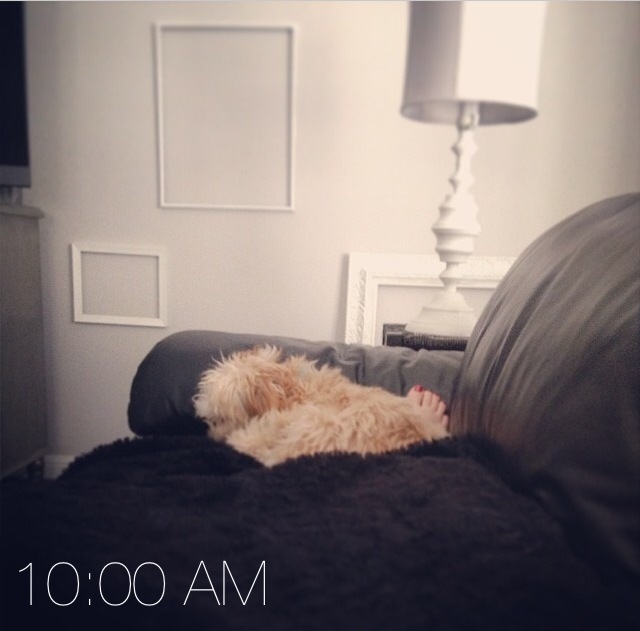 9:30 AM – Home. Time to walk Petie. 6:30 PM – Get ready for bed. Thanks for reading. Stay tuned for tomorrow’s Bella Trois video!